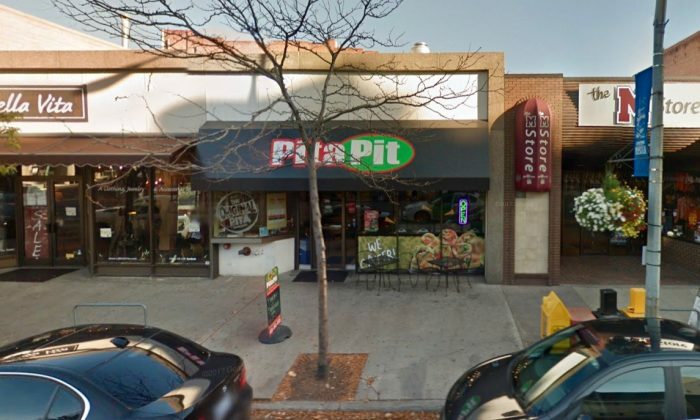 An employee at a Pita Pit in Missoula, Montana, spit in a pita pocket she was making for a customer as others watched and recorded on cellphone video. ShaeLynn MadPlume uploaded the video to Facebook on March 24. It already has 392,000 views, 6,100 shares, and 2,600 likes. She indicates in the post that she was there with Tyanna Bostwick and Danisha Smith. “Just a few customers trying to give them business!!! PITA PIT (downtown Missoula doesn’t close until 3am)…we come in at approximately 2:00 am trying to order food and this racist woman spit in our food because apparently “she was having a bad day and didn’t wanna be at work!”…….mind you, she argues with us a few seconds before we were actually able to capture this on video!! (PITA PIT, downtown MISSOULA, MT) FEEL FREE TO SHARE!!!!!!!!!! !,” wrote MadPlume in the post. The owners posted a lengthy response to the video on the Pita Pit Missoula Facebook page, hoping to salvage the shop’s reputation. They said they tried to reach MadPlume via Facebook messenger but couldn’t. Both MadPlume and Bostwick shared the full response on their Facebook pages. Some people commenting on the video wonder what happened before the girls started recording and if there really was any racism involved, as the MadPlume wrote in the post. The three girls appear to be Native Americans, judging by the conversation of locals commenting on the post and the content of other posts the girls have made to their pages.